Welcome to my blog! This week's Heart2Heart Challenges theme is "Photo Op", the way I see it, any moment that needs to be captured by a camera is a "Photo Op". I created this single page layout using the Urban Paper Packet and Complements showcasing my daughter Zoe's big day getting her braces on. 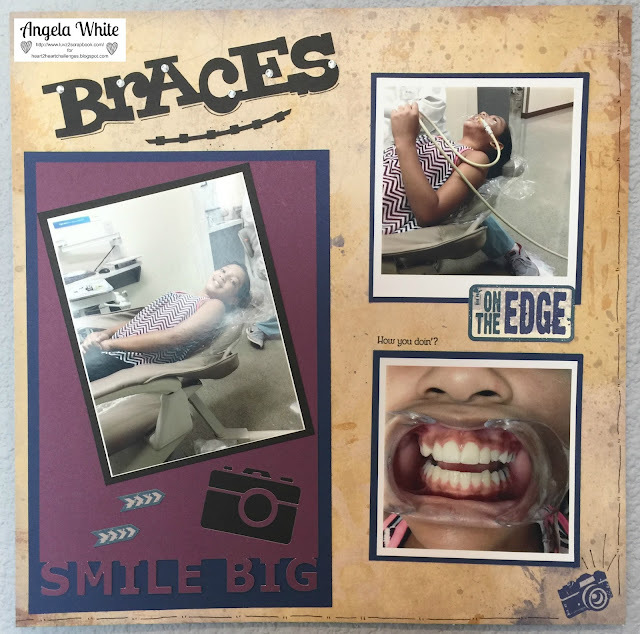 I also found the "Smile Big" card from the Close To My Heart Artfully Sent Cricut Cartridge. I challenge you to get out there and take advantage of all those great "Photo Op" moments in your lives. Welcome to my blog! I am finally back home, for good... I think... Anyway, I'm so excited I was able to create today's project from my very own craft room. This week's Heart2Heart Challenges theme is "Four", mix and match elements, photos and anything you wish to showcase anything "Four". 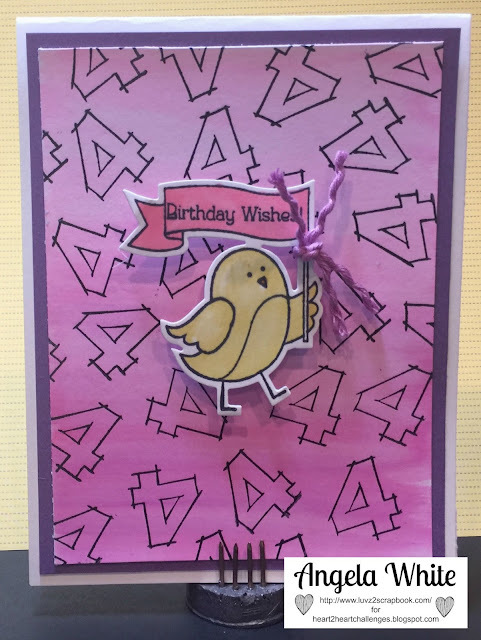 I created a birthday card using some watercolor paints, the number 4 stamp from the Framework Alphabet Stamp set and the cute little chick from the Spring Critters Stamp Set and coordinating thin cuts. I created a fun background using simple straight strokes of the paint brush to create a sort of "ombre" background.